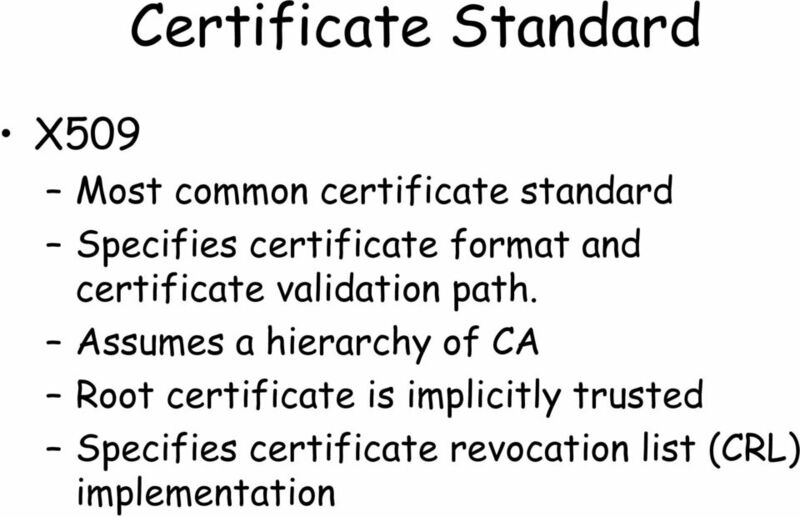 5 Public-key certificate Certificate: the signature of the certificate authority binds together a public-key with an identity. 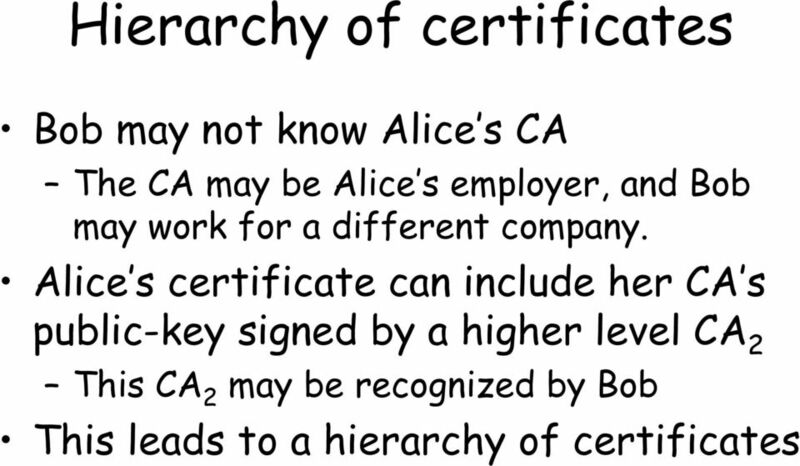 Bob can be sure that the public-key belongs to Alice by checking the signature using the CA public-key. The CA is trusted by all participants. 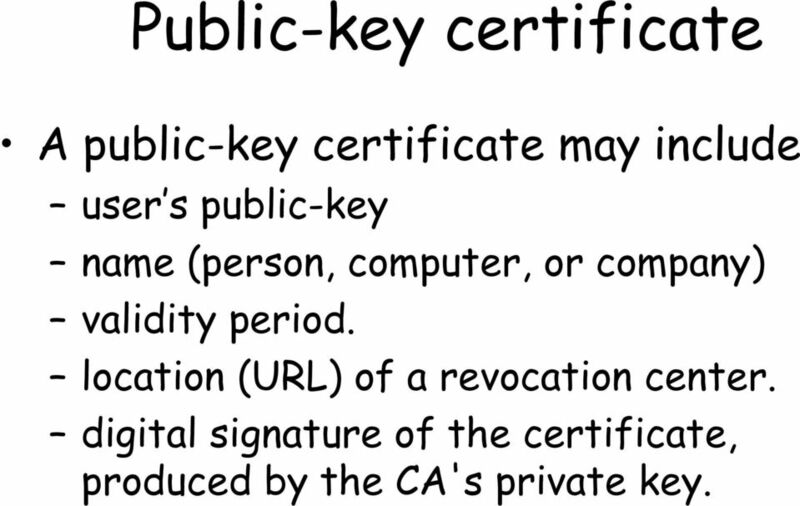 7 Public-key certificate A public-key certificate may include user s public-key name (person, computer, or company) validity period. location (URL) of a revocation center. 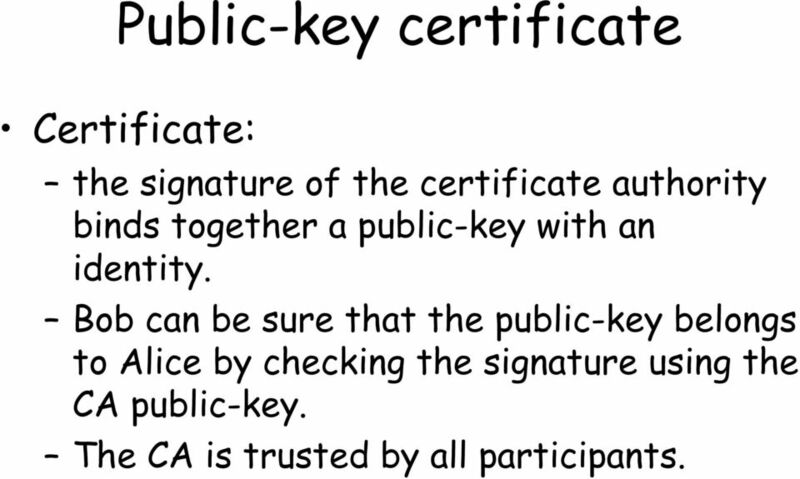 digital signature of the certificate, produced by the CA's private key. 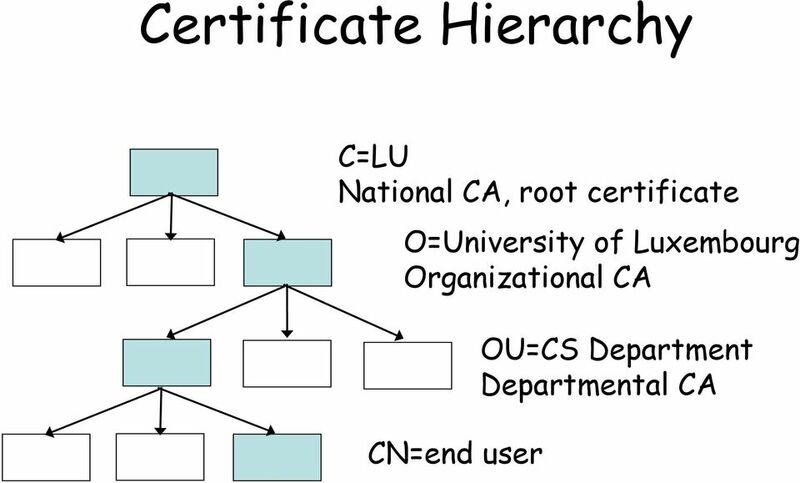 13 Root certificate Unsigned public-key certificate located at the top of a certificate chain. Typically in X509 standard Implicitly trusted Included in web browsers Used for SSL/TLS connections One needs to trust the browser s publisher to include correct root certificates. Single point of failure In practice, hierarchy is flat. 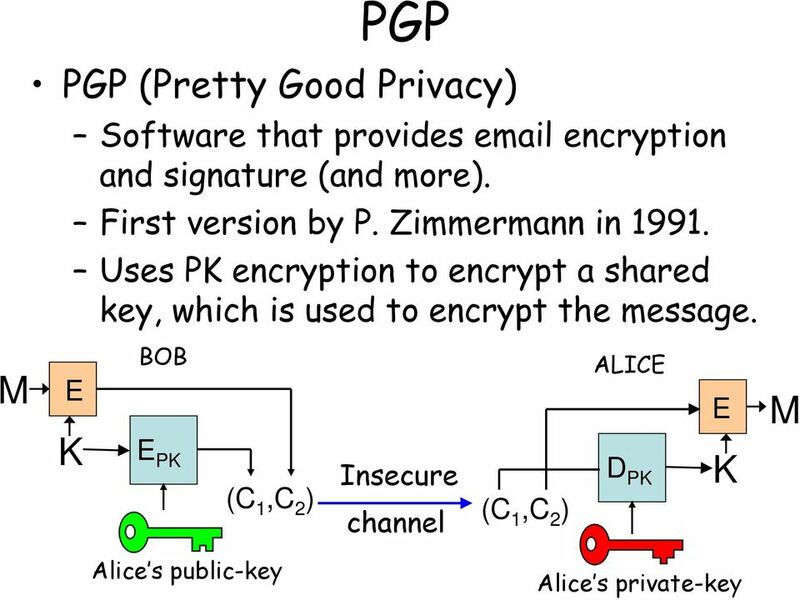 17 OpenPGP and GnuPG OpenPGP Standard for PGP encryption since Avoids patented algorithms GNU Privacy Guard (GnuPG) developed by Free Software Foundation and freely available with source code. Supports ElGamal, DSA, RSA, AES, 3DES, Blowfish, Twofish, CAST5, MD5, SHA-1, RIPE-MD-160 and TIGER. 18 SSL Used to provide secure web-browsing. SSL 3.0 similar to TLS 1.0 ensures confidentiality, integrity and authenticity over the Internet. 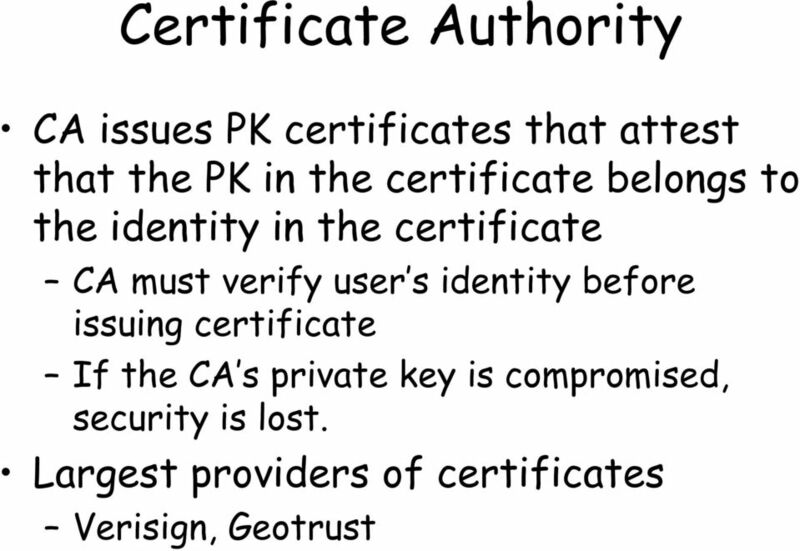 Generally, only the server is authenticated Mutual authentication requires a PKI for the client. 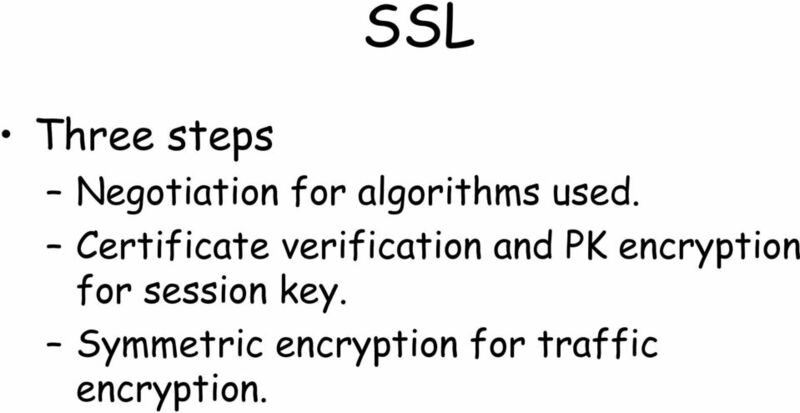 19 SSL Three steps Negotiation for algorithms used. 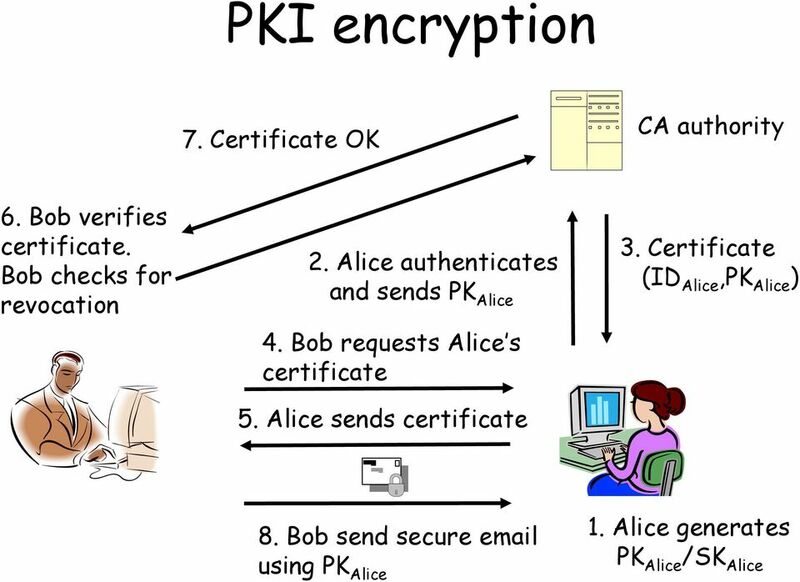 Certificate verification and PK encryption for session key. Symmetric encryption for traffic encryption. 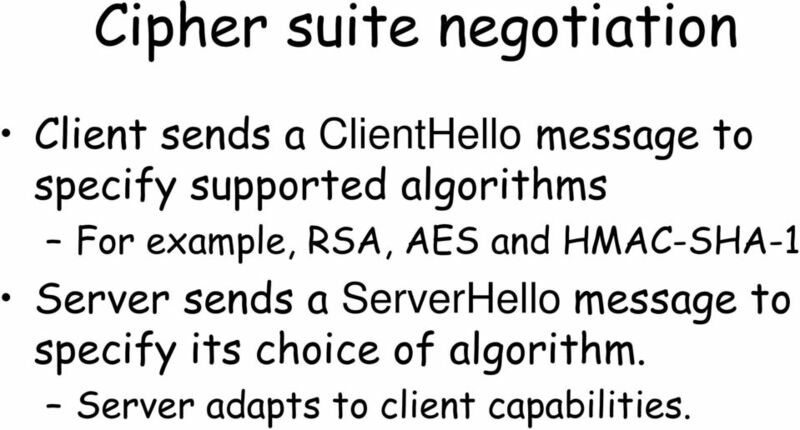 20 Cipher suite negotiation Client sends a ClientHello message to specify supported algorithms For example, RSA, AES and HMAC-SHA-1 Server sends a ServerHello message to specify its choice of algorithm. Server adapts to client capabilities. 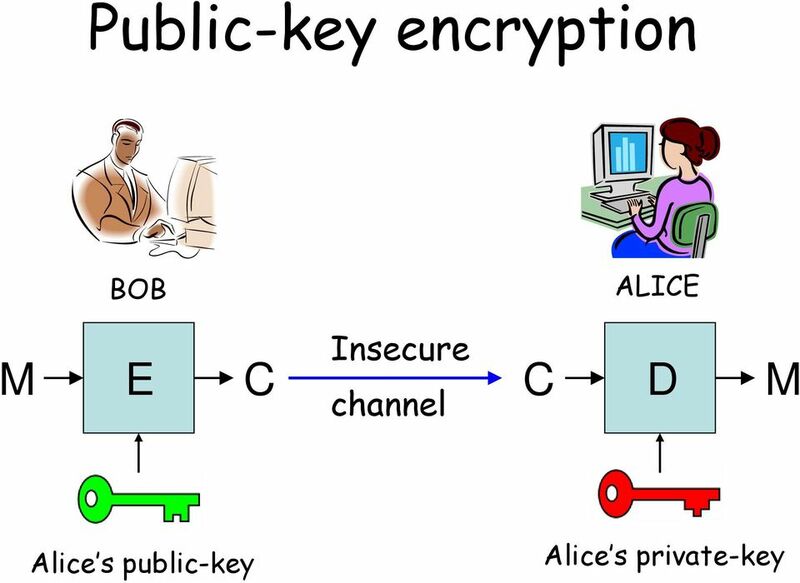 28 Principle IBE Bob encrypts his using Alice s adress as the public key Alice receives the message. She contacts the key server, authenticates, and receives her private key. 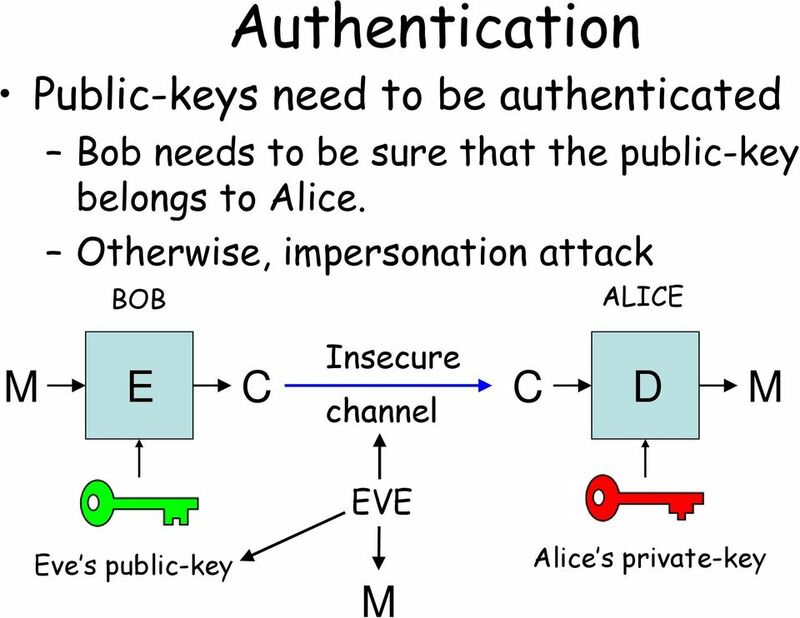 Alice uses her private-key to decrypt the message This private-key can be used to decrypt any future message sent to Alice by Bob or any other user. 31 Boneh-Franklin First efficient IBE, proposed by Boneh and Franklin at Crypto 2001 Most famous IBE scheme to date. Based on the bilinear pairing operation on an Elliptic-Curve. Provably secure encryption scheme IBCS#1 standard, published by Voltage Security. 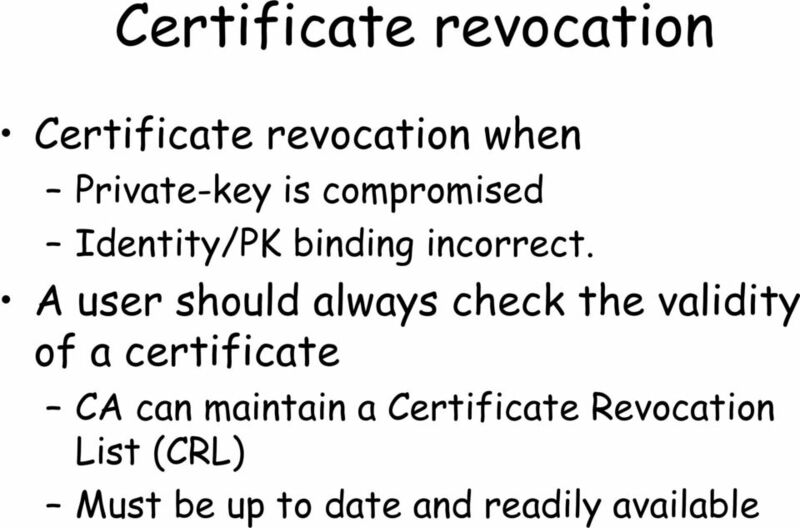 34 Conclusion Public-key Infrastructure Necessary to authenticate public-keys Difficult to set up and maintain Certificate Revocation List Used for PGP encryption and SSL/TLS. IBE could be an alternative But central authority can decrypt everything. SSL/TLS EJ Jung 10/18/10 Authenticity of Public Keys Bob s key? 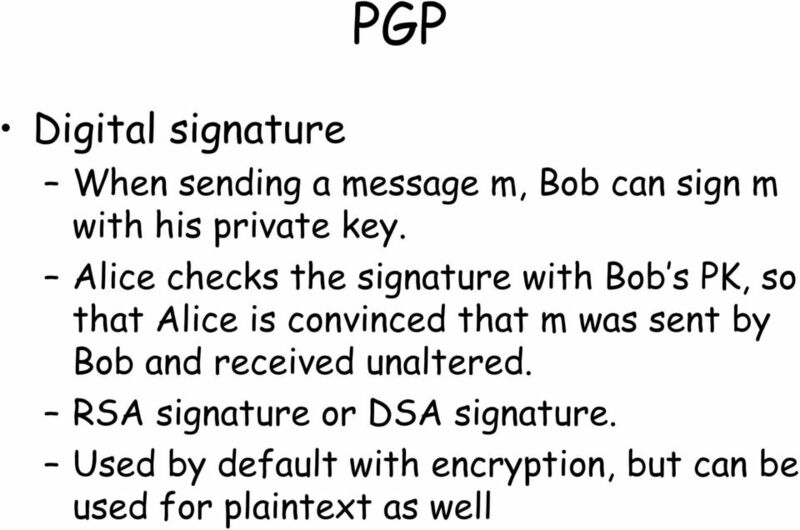 private key Bob public key Problem: How does know that the public key she received is really Bob s public key? Distribution of Public Keys! Lecture 13. 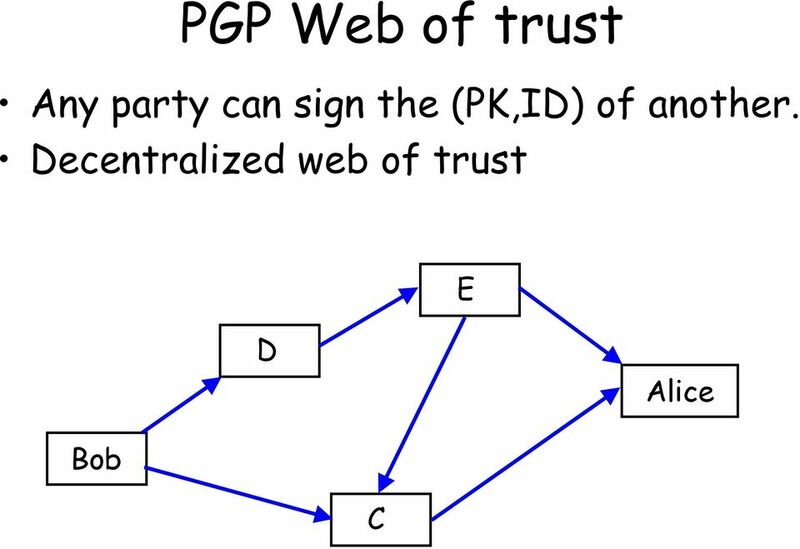 Public Key Distribution (certification) PK-based Needham-Schroeder TTP. 3. [N a, A] PKb 6. [N a, N b ] PKa. 7. 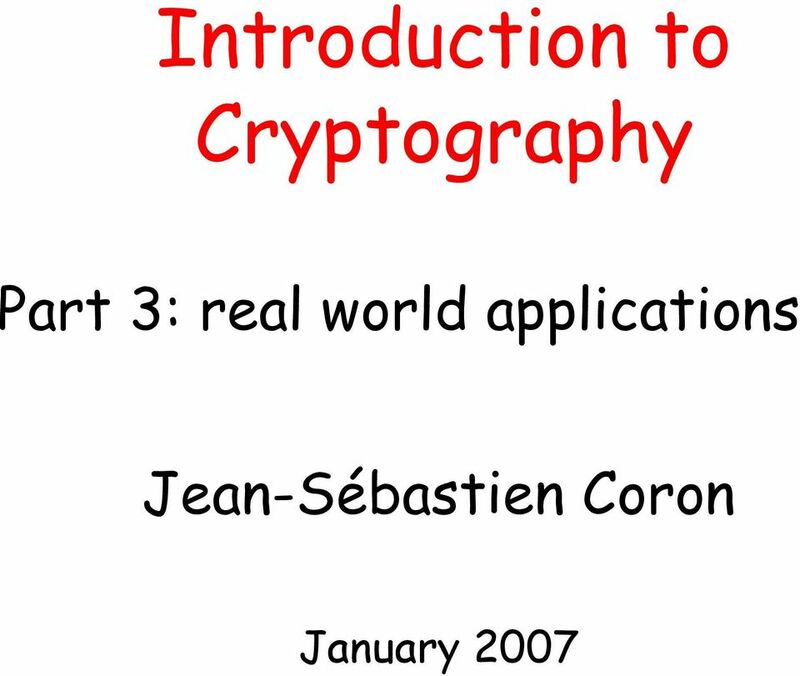 CA4005: CRYPTOGRAPHY AND SECURITY PROTOCOLS 1 7 Key Management and PKIs 7.1 Key Management Key Management For any use of cryptography, keys must be handled correctly. Symmetric keys must be kept secret. Secure Socket Layer. Carlo U. Nicola, SGI FHNW With extracts from publications of : William Stallings.